Tiffany of “The Little Waffleflower” is a mother, wife, sewer, crafter, baker, chef, gardener, etc. She loves life and learning/doing new things. 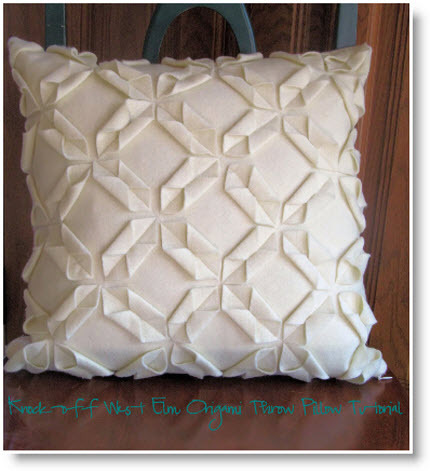 Today she has this stunning “West Elm Origami Throw Pillow Knock-off” with a step-by-step tutorial. Thanks Tiffany for sharing your pillow with us.